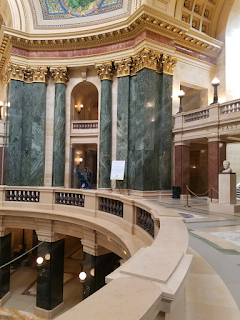 During the Christmas and Easter season each year, the Wisconsin State Capitol rotunda becomes dominated with many religious displays. To counteract these displays, Atheists, Humanists, and Agnostics at the University of Wisconsin-Madison (AHA) have added our own display to the mix. The display that we have chosen for this year was thought out and created by AHA officers. It is a brightly colored poster which reads, “Only go to church on Christmas? Forgot about lent? 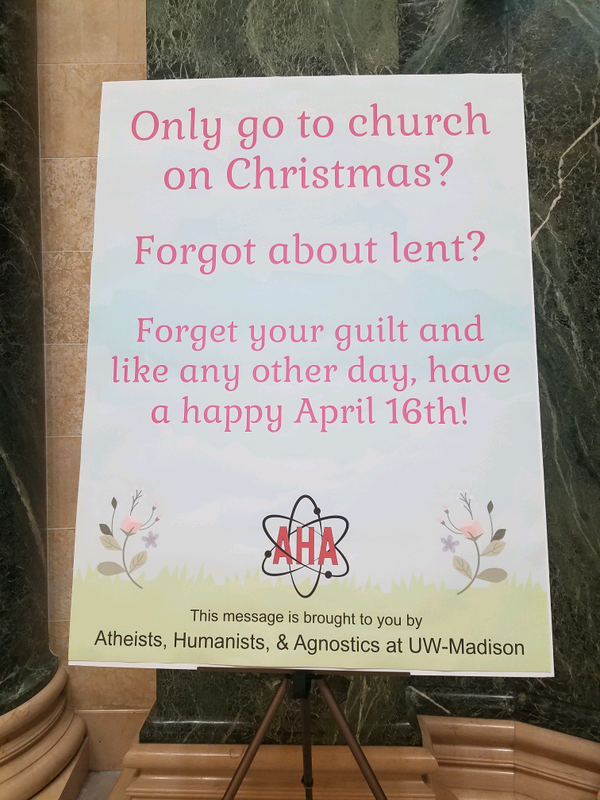 Forget your guilt and like any other day, have a happy April 16th!” It also adds at the end that, “This message is brought to you by Atheists, Humanists and Agnostics and UW-Madison”. We chose for this display to be bright and cheery to draw viewers in, and then to have them comprehend what it is saying and to give somewhat of a shock factor. Emily goes on to describe the display in detail. She wanted to note that AHA is not putting this sign up to “de-convert” anyone, but is putting it up to say, “hey, we exist too! And if your religious ideals are going to be allowed here, our secular ideals can be too”. This sign was designed with the mindset to get people thinking. The title AHA officers were using to describe this sign was “nonchalant atheists”. This is reflective of the sign saying “April 16th” instead of “Easter”. This was done so that possible religious people would stop to think about how just because Easter is a sacred day to them, it is not for everyone. 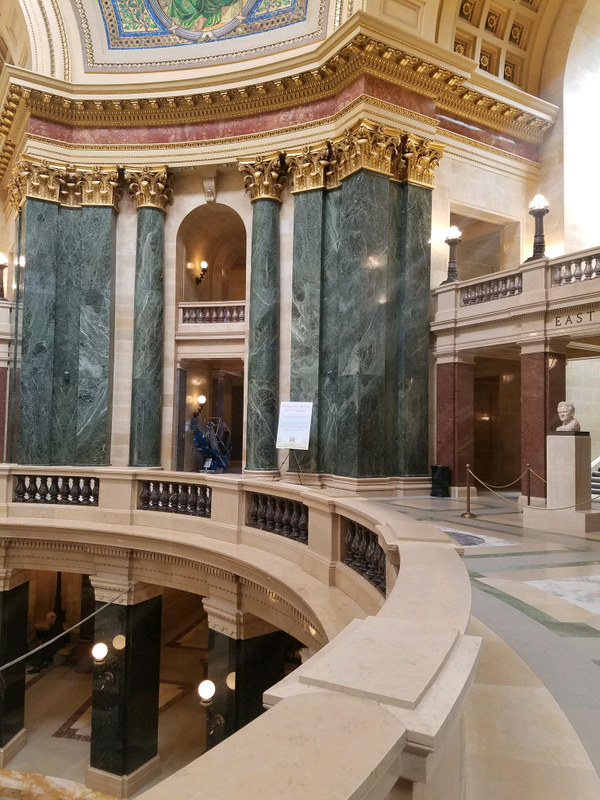 The Atheists, Humanists, & Agnostics at UW-Madison have proudly created many other capitol displays in the past; you can check out last year’s Easter display here! The display from last year made was a satire as it was based on a modern, newer religion called “Jedism”. It referred mainly to the Jedi, Obi-Wan Kenobi as a savior. Overall, AHA is glad that we are able to make our voices heard and are able to represent the secular community. Next post: Mifflin Street Trash Party!